A scarce title today apart from the 'print on demand' copies. 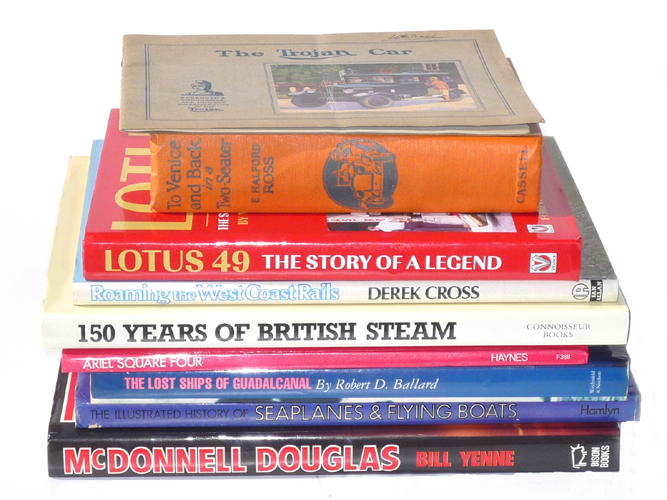 Male aviators in those days were 'thin on the ground' (mostly up in the air)! please excuse me for that! With Female aviators even less so. 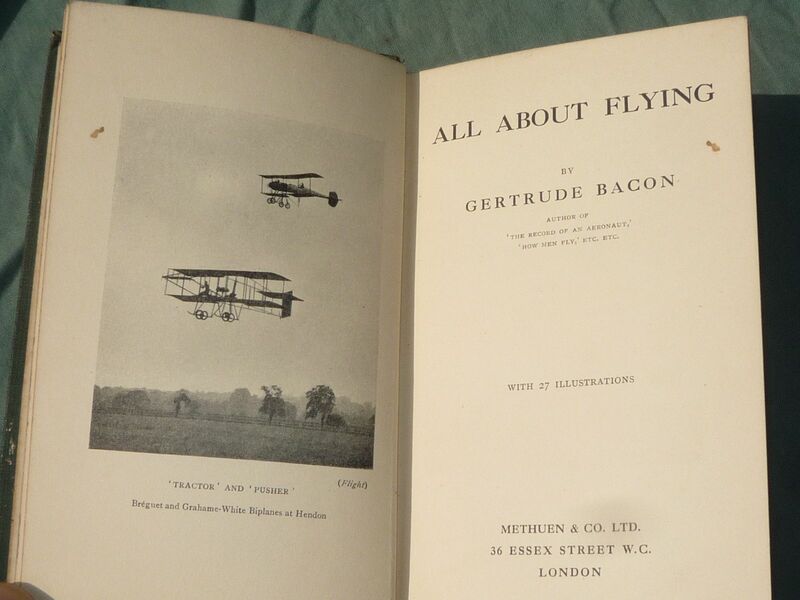 Gertrude Bacon clearly knew her stuff and is fully up to speed in all things Aviaonic in the first years of the Great War. 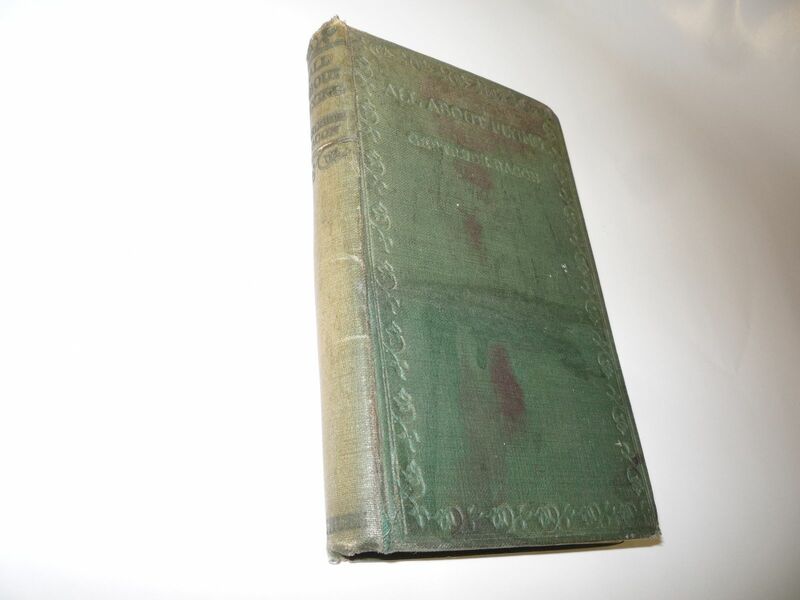 This small 115 page hardback has no jacket and the cover cloth is in worn condition with some repaired splitting to spine, internally in very good order.